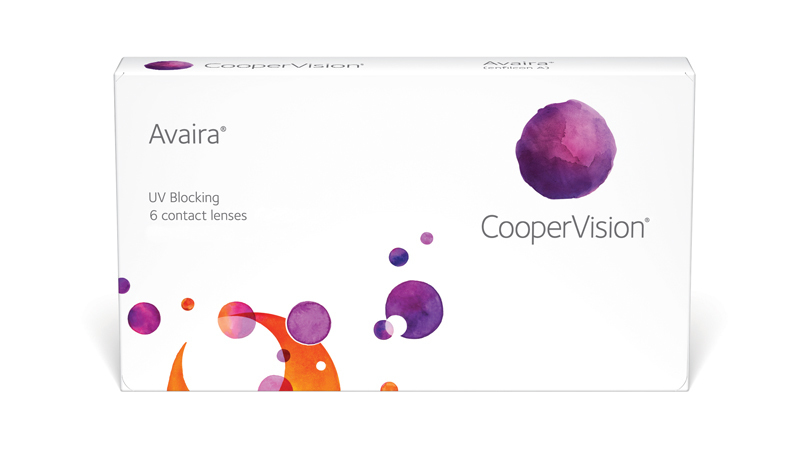 The CooperVision Avaira lens is an excellent choice for wearers looking to make a change; whether that is from glasses to contact lenses or changing from their current contact lens brand. Designed to optimise moisture and oxygen for comfort and eye health benefits, Avaira also delivers excellent optics. Aquaform Comfort Science also utilises longer siloxane chains, resulting in less silicone incorporated into the lens material. This creates a more flexible, low-modulus lens that's soft and comfortable. Avaira contact lenses also benefit from a UV blocker*. 1 Warning: UV-absorbing contact lenses are not substitutes for protective UV-absorbing eyewear, such as UV-absorbing goggles or sunglasses, as they do not completely cover the eye and surrounding area. Patients should continue to use UV-absorbing eyewear as directed.